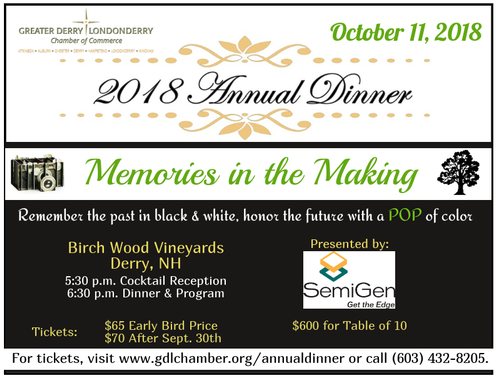 Join us as we celebrate the accomplishments of the Greater Derry Londonderry Chamber of Commerce and its members. The night includes the presentation of our Business of the Year and Citizen of the Year Awards. Online registration has closed. Please call the Chamber office at (603) 432-8205 if you need to purchase tickets.